Pupils receive merits for good work in books and the classroom, earning certificates and merit reward sessions which vary across year groups. Pupils earn raffle tickets for demonstrating Love to Learn skills and excellent behaviour. These raffle tickets are then entered into a prize draw each week. Pupils can be declared Star of the Week in the weekly year group assembly. Best tutor group attendance is celebrated each week and regular attendance rewards take place in Year groups and phases. Other rewards include stickers, praise postcards, phone calls home and certificates. In each KS2 classroom there is a behaviour zone board. The zone board is a visual behaviour management tool –the yellow and orange areas show pupils visibly that they are not behaving appropriately or not following instructions. 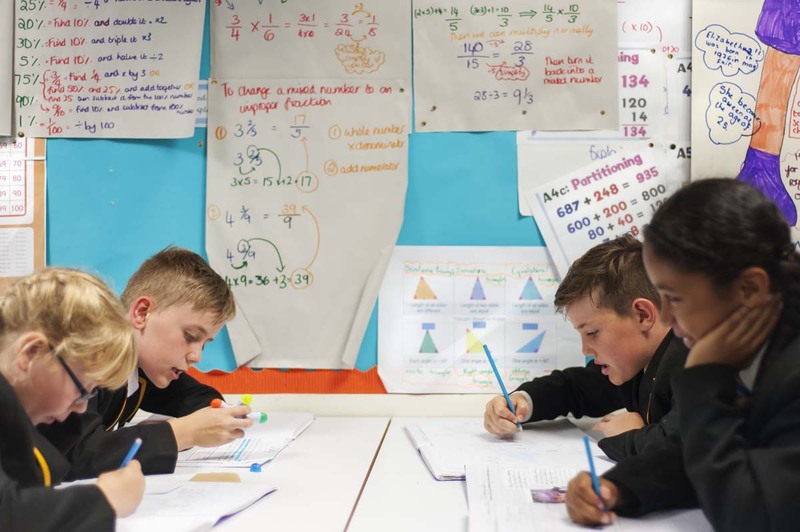 If a child ends the learning session in amber, then t have earned a lunchtime detention – this is also a C2 and is logged on SIMS as repeated disruption of lesson. If a child finishes a learning session in yellow, they will have a short personal detention and conversation with the class teacher. This is a C1 log. The blue part of the board is used to encourage good behaviour and achieving this stage is reward this with merits and positive praise. There is a ‘Silver Star’ layer at the top pf the board and pupils can earn raffle tickets for being in this section. 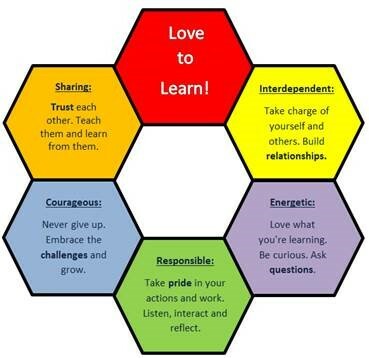 Love to learn encourages pupils to develop their learning behaviours. There are displays in classrooms and corridors and assemblies and lessons to introduce each theme. Pupils target a theme to focus on and this is displayed in classrooms. Pupils earn raffle tickets for demonstrating Love to Learn skills. These raffle tickets are then entered into a weekly prize draw and a half termly prize draw.